OREM – It’s hard to win a baseball game when you struggle in one area of the game, but when multiple things are going wrong on the same day, it is darn near impossible. 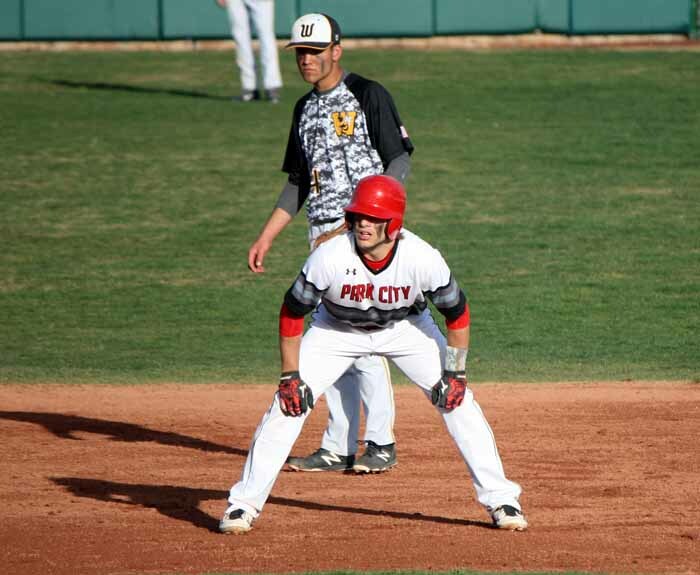 Such was the dilemma for Wasatch in the championship game of the Orem Tiger Baseball Classic Saturday evening at Brent Brown Ballpark on the campus of Utah Valley University. The Wasps were unable to generate much offense against Park City’s ace right-hander Scott Stokes and in the field…well, six is the number that tells the whole story. That is the number of errors Wasatch committed in dropping a 4-0 decision to the Miners. The miscues started early, and Park City manager Lou Green seemed to jump on the opportunity presented. Most of the errors were not of the normal variety, misplayed grounders, dropped fly balls and the like, but instead they came on the bases, where the Miners turned up the pressure with aggressive base running. Catcher Chandler Barkdull, a first-team all-state performer a year ago, blasted a ball to the wall in center field in the home half of the first to chase home Max Bernstein with the game’s initial score. It was a run that probably would have scored anyway, as the Miner second baseman had walked ahead of the Barkdull at bat, but the scoring chance was made easier when an attempt to pick Bernstein off first base sailed down the right-field line into the Park City bullpen, sending him over to third. With the game still sitting at 1-0 in the Park City third, Bernstein’s one-out comebacker to Wasatch pitcher Garrett Davis looked like an inning-ending double-play ball. Instead, the throw to second was off line and Chandler Anderson, who had singled, was safe on the error. That led to another play that, while not technically an error, summed up the night for the Wasps. A pitch in the dirt kicked up and off the front side of the Wasatch catcher before bouncing in the direction of the third-base dugout. When both catcher and pitcher initially pursued the ball, the plate was left uncovered and Anderson was all over it, racing at full speed from second base, around third and all the way home. Park City’s attack mode on the base paths created two more runs in the bottom of the fourth that finalized the scoring in this contest. After Zack Luna reached on a two-out infield single, Anderson ripped a liner to the wall in left on a hit-and-run that chased Luna home with the Miners’ third run and left him on second with a double. Anderson then tried a delayed steal, and he appeared destined to be out by 15 feet at third, but the throw was short of the bag and bounced down the left-field line down near the Wasps’ bullpen. Not only was he safe at third, but Anderson was able to race around to the dish with his team’s fourth run. 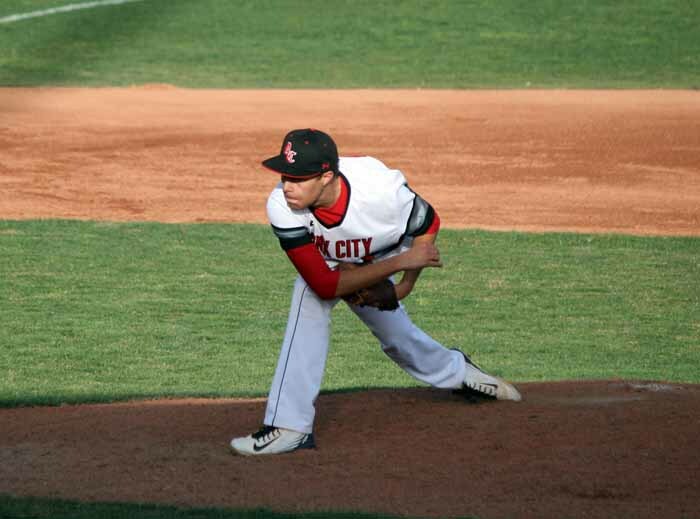 Davis was able to pitch around the other miscues, but while Wasatch was opening the door for the Miners to score runs, Park City did not reciprocate. Stokes worked quickly and was around the plate all night long, going the distance and allowing just a pair of hits, a Chase Adams single in the second and a knock by Cade Cloward in the fifth. The Wasps had runners reach base in just four innings, but never got more than one runner aboard in any stanza as Stokes picked up the occasional strike out, but specialized in getting ground ball outs. Wasatch (5-3) lost its first game in the tournament to Payson Tuesday, but used a Wednesday win over Timpview and a Friday victory over tournament host Orem to reach the title game. Next up for the Wasps is a pair with Maple Mountain (7-5) Tuesday and Thursday to open Region 8 play. 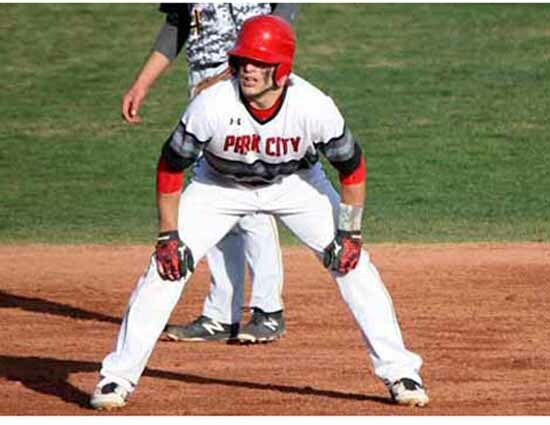 Park City (7-1) picked up its first loss of the season when it dropped a 7-4 decision to Orem Wednesday in this event, but that loss was sandwiched between wins over Mountain View and Payson to get the Miners to Saturday night. They have the week off before opening Region 10 play with a three-game set against Juan Diego (2-3) beginning March 30.